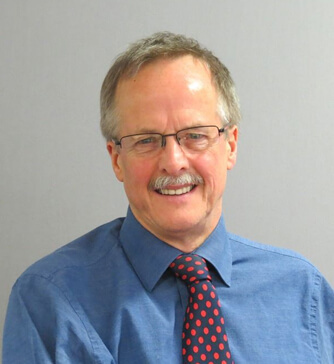 Professor David Reid is Emeritus Professor of Rheumatology at the University of Aberdeen and was previous Head of the School of Medicine & Dentistry at the University. He is a consultant rheumatologist and has been involved in providing specialist osteoporosis services with a particular emphasis on bone densitometry for 30 years. He has over 300 original papers and reviews, largely on his research interests which include the utility of bone mass assessment, assessment of risk of fracture, secondary osteoporosis, glucocorticoid osteoporosis and the assessment of long-term disease activity and drug adverse effects in rheumatic diseases. He is a Volunteer Ambassador and Patron of the National Osteoporosis Society and the immediate past Chair of the Board of Trustees from 2008-2012. He previously chaired their Research Grants Committee and Medical Board. Until late 2013, he was the Chair of the Arthritis Research UK Clinical Studies Group with responsibility for advising on the needs for clinical trials in bone diseases. He has been a member of numerous national committees most recently including the UK Medical Schools Council, the UK Health Education Advisory Committee and Scottish Stratified Medicine Innovation Centre Board. He is currently chairing a Working Group of the National Osteoporosis Society developing Quality Standards for Osteoporosis and Fracture Prevention services for the UK.